Having just returned from Japan as a chaperone for Kakehashi trip participants, the writer reflects on the Japan-U.S. relationship and making this program equal for all. When I first learned that I was selected as a chaperone for the February Kakehashi trip, I was thrilled to have the opportunity to share my knowledge of Japan with fellow Japanese Americans who were likely visiting Japan for the first time. I had the privilege of growing up with my Issei hiobaachan in my life until the age of 18, so my sister and I grew up with a direct link to Japan that few of our Yonsei peers have. I had always been interested in visiting Japan, but after hiobaachan passed away during my freshman year of college, that was the push that motivated me to study abroad. Having never studied Japanese language prior to moving to Kyoto in the summer of 2008 at the age of 20, I spent my first six weeks in an intensive Japanese language program and living in a homestay. After that, I moved to Tokyo, where I studied at Temple University Japan Campus for the following fall semester, an experience that changed my life and inspired me to pursue a graduate degree in Japanese studies and eventually enabled me to teach this subject in the university setting for the past eight years. Japan, like all countries, has both its positives and negatives and to ignore that fact will only result in a very superficial understanding of the culture and its people. In all honesty, it was the negative aspects of my experience living there that encouraged me to become more involved with the study of Japan. As a white-passing person of mixed-race Japanese descent, I knew fully well that I would not be accepted in Japan as a Japanese person, but I did not realize how much of my upbringing had been influenced by Japanese culture either. It took me by surprise to feel as comfortable as I did in Japan, at least during my first couple of months there that were spent in a homestay located in a suburban/rural area called Uji, located south of Kyoto by about 20 kilometers. Living with a Japanese family and taking intensive language classes five days a week helped me to acclimate to the culture quickly, and by the end of the program, I spoke passable Japanese. By the time I began school at Temple University Japan Campus in Tokyo that fall, I felt like I had finally found the place where I belonged. As the months went by however, I began to see Japan beyond the rose-tinted glasses through which I first perceived it. I realized that little of what I had initially believed about Japan was true, or at least not in that hypermodern megalopolis. By the end of my stay, I was convinced that Tokyo was no different than any other major world city in which unchecked progress and mass consumerist culture have eroded the quality of life — a place where global trends had replaced local/regional culture and the things I loved most about Japan seemed to be a distant pipedream. Whatever acceptance and belonging I had felt from the rural/suburban community in Uji was replaced by a deep sense of isolation, lost in a constant crowd of millions. Yet, as I boarded the plane back to America, I felt a profound sadness, and as the plane took off, I silently wept for the things that could have been, the things that almost were and the things that never would be. Despite my love-hate relationship with Japan during that first stay, in the months after my return, I found myself longing for the aspects of Japanese culture that I had taken for granted while living there. For instance, the first time I ate at a subpar restaurant after returning from Japan was a terrible surprise. In the six months I had been living there, not once had I eaten a bad meal — the thought that I could go to a restaurant and spend money for something that was not satisfying sparked a major period of introspection about what else I had grown accustomed to that was no longer part of my daily reality. Eventually, that curiosity led me to apply to a graduate program in Japanese studies, where I was able to develop an expert knowledge in Japanese culture and history, as well as a better understanding of how Japan got to be the way it is today — both its positive and negative aspects. Now, just over a decade later, Japan has become a major part of my daily life as I pursue a dual career in academia and nonprofit arts administration. It was a difficult path at times, but had I not experienced the heartbreak of realizing Japan was not everything I hoped it was, I most likely would not have been inspired to take that next step in my career, which completely changed my life for the better. Ultimately, there are certain lessons you must learn from experience, and I fear that this is probably one of them. That said, I had hoped to convey some of my perspective to the Nikkei participants of the Kakehashi trip I was chaperoning, who like me, might be seeing more of themselves in the culture of Japan than they had previously thought was possible. Therefore, if they ever decided to pursue future study or work opportunities in Japan, they would have a more complete understanding than I did about what they were getting themselves into. Unfortunately, I never got that chance because in February, the Japan International Cooperation Center (JICE) (who coordinates Kakehashi on behalf of Japan’s Ministry of Foreign Affairs) decided to segregate the record number of 35 non-Japanese Asian American participants into their own separate tour group. As a chaperone of the non-Japanese group, neither myself nor any of the other student participants were able to interact with the Nikkei participants besides the first and last day of the program. At times, the dual mission of the JACL as a multiethnic civil rights organization that advocates on the behalf of all people, and also an organization that honors and promotes the cultural legacy of our Japanese American community, are difficult to reconcile. In this particular case of the February 2019 Kakehashi trip, I found these missions to be wholly at odds. While the Japanese government regularly conducts Kakehashi trips around the world with other groups outside of the Nikkei diaspora, the trip sections allocated to JACL were envisioned (by the government of Japan at least) to specifically cater to Japanese Americans exploring their ancestral culture of origin. However, being that our membership encompasses a number of other Asian American youth, JACL advocated for the inclusion of our full membership, regardless of ethnicity. In the past, there have been a dozen or less non-Japanese Asian Americans included on this trip, who have been split amongst the sections of Nikkei participants. While this may not have always been a perfect system (particularly in cases when speakers refer to the entire group’s Japanese heritage), it allowed for the non-Japanese participants to experience the trip alongside their Nikkei peers, and both groups benefited from the other’s perspective while learning about Japan. Instead by segregating our groups, the non-Japanese students felt that they were being unfairly discriminated against and a tension developed, which should be expected when one out of several historically marginalized communities is suddenly prioritized over the others. In that respect, the result was not unlike that of the model-minority myth in driving a wedge between communities of color. Despite my initial disappointment at being selected to chaperone a segregated non-Japanese group of Asian American students, I realized that my background in Japanese Studies and experience living in Japan (in addition to my work in Pan Asian American spaces through the Philadelphia Asian American Film Festival) had uniquely qualified me to support these students through their learning experience. In the end, I’m really grateful to have been their chaperone because the diversity of participants made for an extremely compelling dialogue throughout the trip that was equally enriching to myself as it was for the students. Each day as we traveled by bus or train, I helped the students to unpack what they were learning, leading discussions and giving them space to explore their understanding of the trip in a group reflection setting. By the end of the trip, our group felt that the Kakehashi Project was a positive life-changing experience for all of them, but they were also conflicted by their emotions about being segregated from their Nikkei peers. From the Japanese government’s perspective, it is easy to see how the segregation of participants might not raise concern given the lack of context in a culture that is still about 98 percent ethnically homogenous. Unfortunately, for communities of color hailing from the U.S., the historical parallels were far too relevant to go unnoticed. Our non-Japanese group was excluded from certain key events, including a visit to the Japanese prime minister’s residence. We were also sat in the rear of the room with limited visibility during the few events that all trip participants were invited to attend, and we were also made to wait longer to enter and leave these spaces. Regardless of their intention, the non-Japanese participants felt that they were less of a priority to our Japanese hosts than the Nikkei participants. Obviously, there are many problematic implications about a civil rights organization participating in a program that actively segregates its participants. If JACL is to remain involved in the Kakehashi Project, I believe we must help MOFA to understand that they must integrate future trips. Based on the debrief phone call we held amongst JACL National staff and the February chaperones, everyone seems in agreement on this point. The only alternative I see to integrating the trip is to completely exclude non-Japanese applicants from JACL’s Kakehashi, which would be of great detriment to all those involved. I would also argue that there is significant potential to expand the scope of Kakehashi by having a more intentional dialogue about how we build diplomatic bridges between various Asian American ethnic communities and our respective countries of origin. It cannot be overstated how substantial the history of Japanese military aggression remains in the memories of our more recent Asian immigrant communities in the United States. My wife, who teaches in a bilingual Chinatown preschool, has witnessed, on several occasions, children under the age of 5 playing Chinese vs. Japanese much in the style of cowboys and Indians. Oftentimes while I am representing the JACL at other Asian ethnic community events, members of their immigrant generation have approached me to say how meaningful it is to have someone from the Japanese American community standing with them, in light of the past conflicts in their homeland. As multigenerational Americans, most of us are far enough removed from the context of modern Asian history that we fail to recognize the significance it plays in our ability (or lack thereof) to build coalitions amongst other AAPI communities. However, it is clear that these negative connotations do still exist amongst recent immigrants from some of the countries that Japan colonized during the Imperial era. An integrated Kakehashi trip provides a tremendous opportunity for young Nikkei and other non-Japanese Asian Americans to build mutual admiration and respect for each other’s cultural perspectives. Although somewhat outside the scope of Kakehashi as currently conceived, I do believe that this kind of approach might even result in some successful trilateral diplomacy. Since the majority of Asian Americans in the group I chaperoned were the children of immigrants (as future applicants will presumably be also), their concept of Japan is more likely to be colored by negative stigma from the Imperial Japanese period. 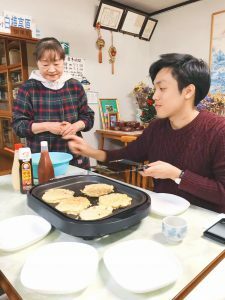 The Kakehashi program has an opportunity to bridge this divide and help the immigrant parent generation understand that the Japan of today is nothing like that during the Second World War. Perhaps in the long term, this goodwill may extend to other friends and family members still living abroad in their country of origin. From JACL’s perspective, this approach would also be advantageous in helping to develop a stronger connection to the other AAPI ethnic communities who are not often represented amongst our membership. This provides an excellent recruitment opportunity for younger and more diverse members who can help expand the types of advocacy JACL is able to do, through more nuanced understanding of the lived experiences of other marginalized communities. I want to make clear that my intent in writing this is to provide constructive feedback through which this program can improve. As I previously stated, all of my participants in the group I chaperoned left Japan feeling positive about the trip overall, particularly the relationships they were able to develop with the host families during their short home stays. As a chaperone, I was also deeply touched by the hospitality and generosity of our local hosts in Minami-Aizu. During my time living in Japan and subsequent travels back, I have mainly stayed in Kansai and Hiroshima-ken, where my relatives reside — two areas that I consider to be the most welcoming and warmest culturally. 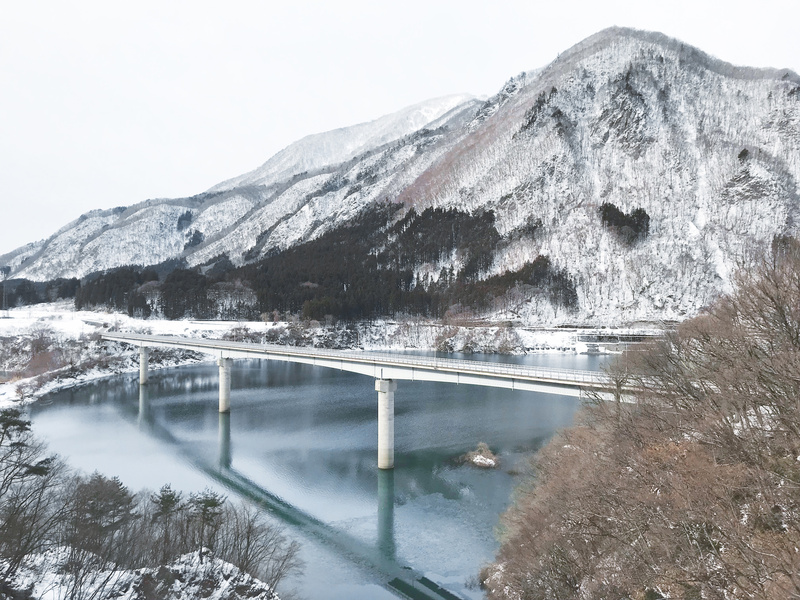 In our short four-day stay in the Aizu region however, I felt that same openness and comfort that initially drew me to Japan, which has ultimately kept me coming back to the regions and communities I hold dear. I will certainly make an effort to visit Minami-Aizu again on a future trip to Japan, and I now have a renewed interest in traveling to other regions throughout the country. something students and recent graduates who may well become future leaders within the AAPI movement. Having witnessed the Kakehashi program from the ground level, I think that this is the most important U.S.-Japan Relations initiative of its kind. During our homestay visit, one of the host mothers remarked that she was so fond of her three host boys that they reminded her of her own grandsons. More than a few tears were shed at the host family farewell party, and I know many of the participants have already begun exchanging letters and other digital communications with their families. We as Japanese Americans (and Asian Americans) have much knowledge to be gained from our overseas cousins, as we continue to pursue a more meaningful relationship with the people of Japan and their culture. The government of Japan has been very generous in providing this tremendous learning experience for the Nikkei youth and other Asian American communities. I can only hope that they will be open to learning from our American perspective as well, and work with us to create a Kakehashi trip experience that is equal for all.